Our graduates have gone on to some pretty special careers. They have the tales to tell and the wisdom to share about what makes this institution of higher learning so remarkable in so many ways. There are thousands of teachers, doctors, lawyers, engineers and artists who call SUNY Potsdam their alma mater. 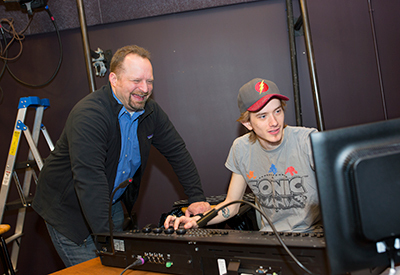 SUNY Potsdam alumnus John Alleyne ’14 has found great success since graduating with a B.F.A. in studio art five years ago. He went on to work at the Museum of Modern Art, received his master’s degree from Louisiana State University and now works as an artist and adjunct professor at three universities in and around Baton Rouge. 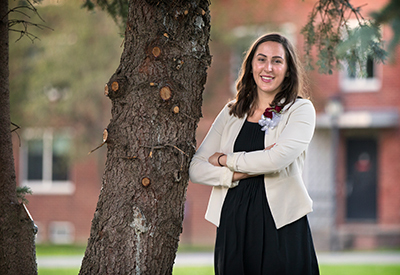 Alumna Kate Grisi ’16, a Geospatial Analyst for the Department of Defense, has climbed the ladder of success very quickly since graduating with a B.A. in geology three years ago. 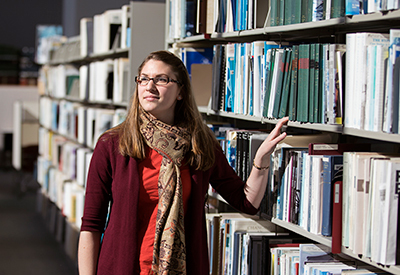 After taking just two GIS classes at SUNY Potsdam, she landed an invaluable internship with the DOD, which has since led to a full-time position. In the fall of 2018, Alaina Dochylo '17 completed an AmeriCorps program where she helped Floridians recover from Hurricane Michael. She recently traveled back to Florida to continue recovery efforts by volunteering for All Hands and Hearts: Smart Response, where she has been interacting with disaster victims, cutting fallen trees and removing moldy drywall from damaged homes. Alumnus Dr. Jeffrey Milroy ’02 has built his career around promoting physical activity and safety in collegiate sports. 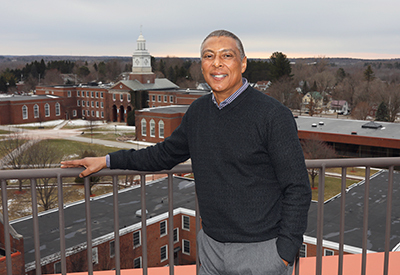 After being recruited from Canada to play hockey at SUNY Potsdam in 1999, he went on to graduate with a degree in community health—the stepping stone for a successful career in public health. Shortly after graduating from SUNY Potsdam, Jessica Petersen '11 landed a job as a musician on Carnival cruise ships. Over the course of seven years, she worked on 19 different ships and traveled all over the world—from South America to Singapore and from Bermuda to Hawaii. Despite graduating with a double major in elementary education and English literature, Megan Bowdish ’88 stumbled onto a completely different career path. After meeting Ray Bowdish ’87 as an undergraduate, she got married and ended up leaving teaching behind to run Never Tire Farm. She now grows vegetables and plants in eight greenhouses during the harsh North Country winters and sells them to more than a dozen businesses throughout the region. Emma Simon ’12 recently returned to campus as an actor in the Pendragon Theatre’s touring production of “Pride & Prejudice” during the Fall 2018 semester. She didn’t stop there, staying on for several more days to lead a clowning techniques workshop for current students and speak about her work as an actor in New York City. 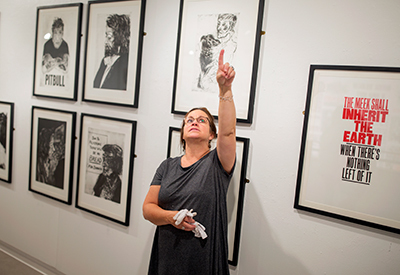 Claudia (Kaufmann) Mengel '76 has always had a passion for art. Shortly after graduating from SUNY Potsdam, she established a career in the world of finance and moved to New York City. Through it all, she continued to work on art, exploring the world around her through an abstract expressionist lens. She now lives in Connecticut and works on her artwork fulltime. 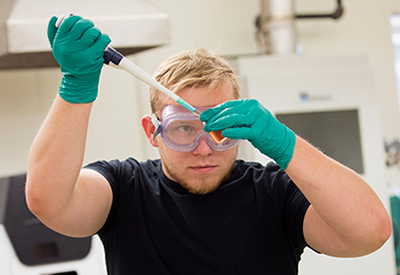 After transferring to SUNY Potsdam his junior year, Logan Running ’17 quickly found his path working on cutting-edge nanoparticle research in the chemistry department—research with the potential to treat cancer more effectively, and with less harmful side effects. 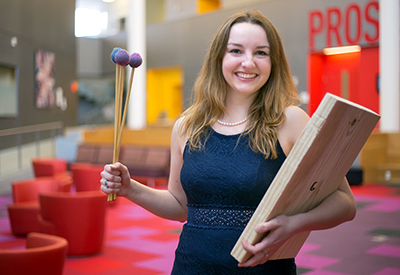 Before Genevieve Ruhland ’18 wrapped up her double major in music education and math this year, she directed a 70-minute experimental percussion performance in the Academic Quad—a project that allowed her to explore less mainstream percussion music as part of her Presidential Scholars research. 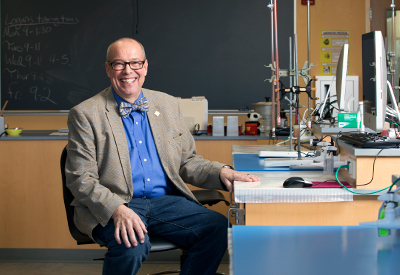 James W. Dornemann ’99 thinks of himself as a problem solver at heart. 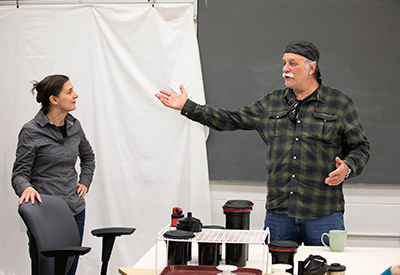 As a light board operator for film and television, he is constantly tinkering and must keep up with the latest in technology to make sure that directors can get the shot they are looking for. 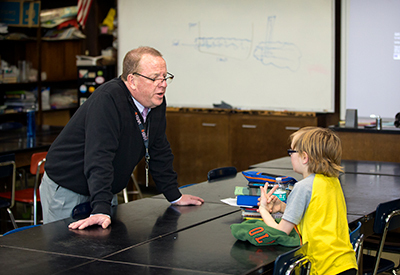 When he’s not running up and down the basketball court as a referee, SUNY Potsdam alumnus David Vroman ’91 is busy teaching his sixth-grade earth science students about everything from the plate tectonics to astronomy. In high school, Katelyn Legacy ’16 wanted nothing to do with history, but that all changed when she arrived at SUNY Potsdam her freshman year. For an otherwise unassuming family dentist, you’d never know that Dr. Randolph Mitchell ’77 has seen his fair share of crime. Since 2009, Mitchell has been working as the forensic odonatologist, where he is called in to determine a deceased person’s identity through dental and X-ray examinations. 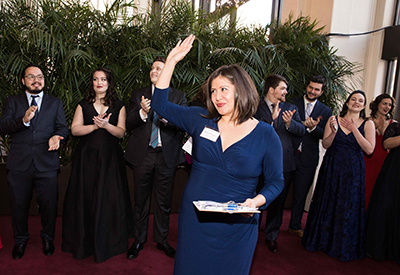 Melissa Wegner '03, the associate director of the Metropolitan Opera National CouncilAuditions, answers 12 questions about her career and reflects on her time at The Crane School of Music. 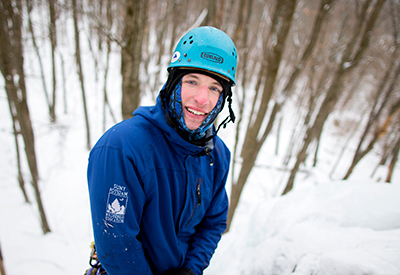 Bundled up from head to toe and sporting a blue SUNY Potsdam wilderness education jacket, alumnus Alex Raynor ’11 swings two ice axes through the air while ascending a wall of ice at Azure Mountain, just 48 miles from Potsdam. 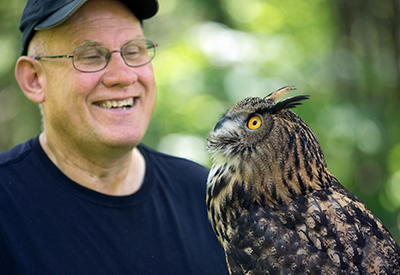 Mark Manske '82, owner of Adirondack Raptors, is dedicated to educating the public about birds of prey. He operates the business out of his home in Dickinson Center, but travels all over the North Country with his trusty sidekicks Morley, Tess, Scooter and Mortimer, names he’s given to his owls and Harris Hawk. 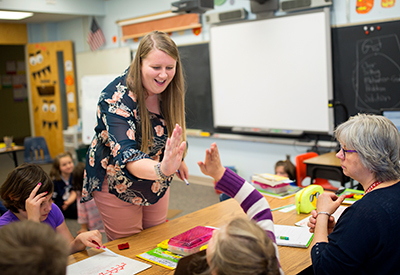 Elizabeth Hudson ’15 knew that she wanted to be a teacher from a young age. Her mother worked in education and now, after completing both her master’s and bachelor’s degrees at SUNY Potsdam, she is carrying on that family tradition. For prospective students, the college application process can be a daunting task—but a good admissions counselor can put students and their families at ease. That’s where Diana Valdez ’17 steps in. 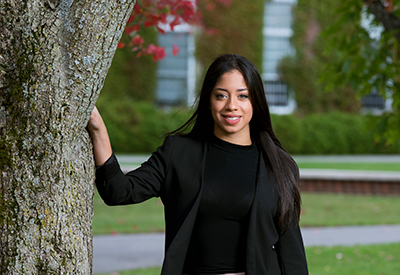 A recent SUNY Potsdam graduate, she has been working as an admissions counselor for just over a month now with six other regional admission counselors. As one of the newest members of the Potsdam College Foundation Board of Trustees, retired tech CEO Ronald Fishbeck ’80 is already making great strides to build a bright future for SUNY Potsdam and its students. Alumna Romi Sebald ’85 came to SUNY Potsdam as a freshman in 1981 and never left. Now 35 years later, Sebald is the collections manager for The Art Museum at SUNY Potsdam. Leaving home to attend college for the first time can be a daunting task, but doing that with a limited understanding of the English language can make you feel like a fish out of water. Alumnus Ricardo Espinal ’17 was faced with that challenge when started at SUNY Potsdam four years ago. Just four years ago, alumna Erin Wagner ’13 was studying geology behind the walls of SUNY Potsdam’s Timerman Hall. Now she works as a geologist for ExxonMobil, the largest publicly traded international oil and gas company in the world. Stephan Savoia ‘75, a two-time Pulitzer Prize-winning photographer for the Associated Press, had his first published picture appear in SUNY Potsdam’s college newspaper, The Racquette, in 1974. 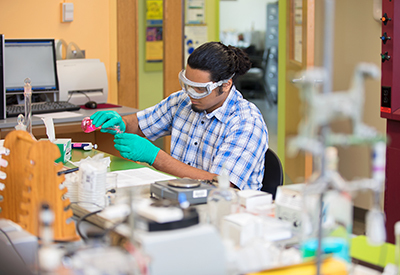 “I know that’s where the printer’s ink got into my veins, that’s where I caught the bug,” he told a group of students last semester during a visit to campus. The small photo of a bus driver would prove to be the first of many images published all over the world as part of a 40-year career in photojournalism. 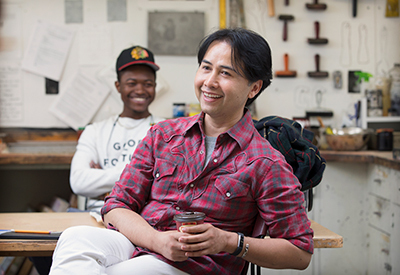 Saad Hajidin ’88, a Senior Director at Polo Ralph Lauren, got his start in a printmaking studio at SUNY Potsdam’s Brainerd Hall three decades ago. He now oversees a talented technical design team in the men’s, women’s and children’s Polo division in New York City. 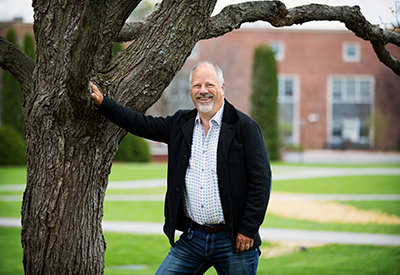 SUNY Potsdam alumnus Brian DeWitt ’79 recently visited campus for the first time since graduating nearly 40 years ago. His undergraduate education at SUNY Potsdam formed the foundation for his highly technical and successful career working in Silicon Valley.